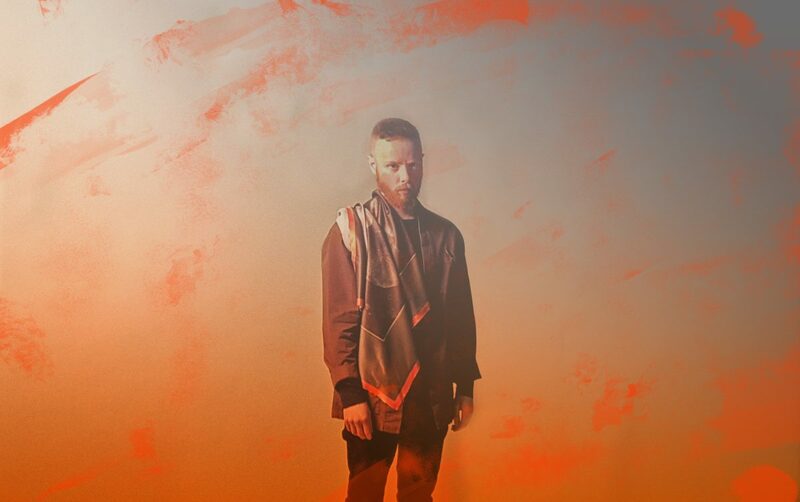 With new album Compassion out today, Getintothis’ Rick Leach caught up with Forest Swords aka Matthew Barnes for a chat. 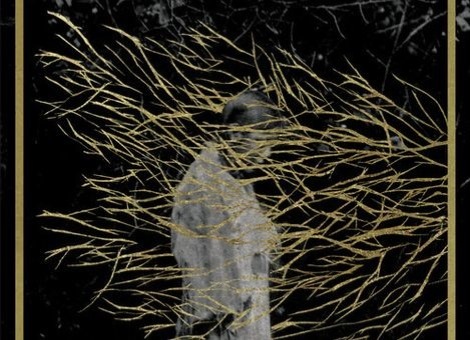 And we’ve waited a while for the follow-up to Forest Swords 2013 debut album, Engravings. Not only was that album critically acclaimed by all and sundry, but it also led to Matthew Barnes being a worthy winner of the GIT Award 2014. Although he has been busy in the intervening four years; collaborating with Massive Attack, writing the soundtrack for the film In the Robot Skies, scoring a contemporary dance piece, Shine, and writing music for an Assassin’s Creed game, Forest Swords and Matthew Barnes are back with what could well be the album of the year. Compassion is one of those rare records that not only bears repeated listening, but rewards you every time you hear it. Multi-layers of digital textures and field recordings, clattering beats and distorted sax arrangements mix with orchestral swoops and clattering beats to give an impression of unease, uncertainty, tension, claustrophobia and yet in many ways, hope. It’s quite a remarkable recording and one that sounds both old and new at the same time. Ancient sounds from other worlds drift in and out all the way through the record and invoke visions of strange, dangerous and exotic places. New future beats and rhythms weave in and out of such a rich tapestry of sounds that at times it’s difficult to say where the old ends and the new begins. The very titles of the tracks lend a vision of a world teetering on the brink; War It, Arms Out, Border Margin Barrier, Panic, Sjurvival. The album ends with Knife Edge, a quiet and elegiac piano driven piece that initially sounds foreboding, but on reflection speaks of hope and promise and of better things to come. 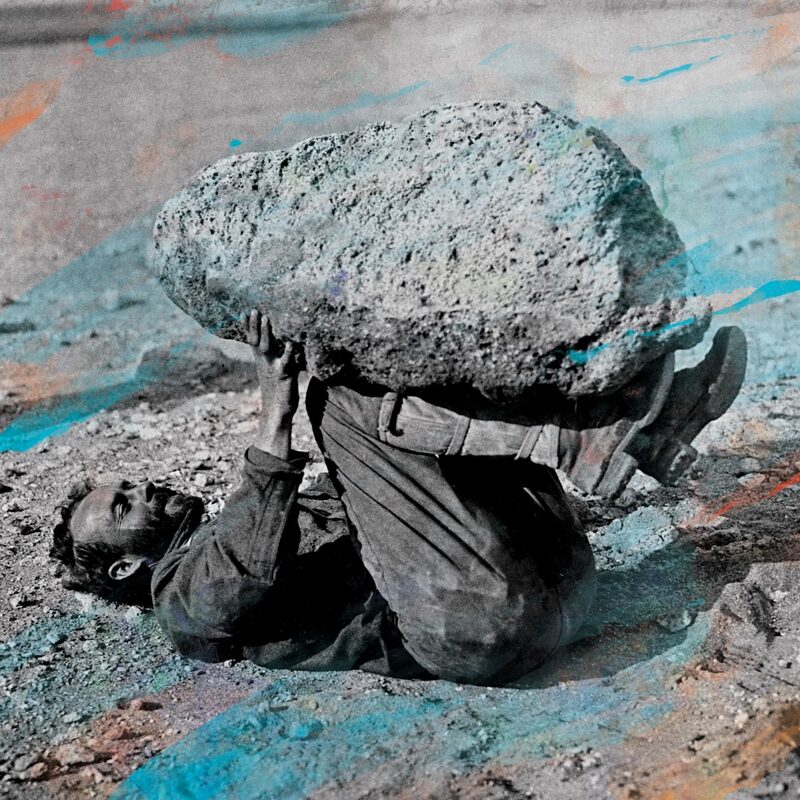 Matthew Barnes has seen a lot of the world in the last four years and we caught up with him for a quick chat about what inspired him and what lies ahead for Forest Swords. Getintothis: Compassion is a startlingly good record. How long did it take you to put it together? Matthew Barnes: It was probably done over the course of 18 months, all in all. I started recording in November 2014 and took most of 2015 off then picked it up in 2016. I didn’t record it consistently; it was bits here and there. I’d do it for a week or so then drop it and do other things. It was therefore recorded in lots of different places over 18 months. I’d toured a lot with the last record and there were a lot of places that I really liked but didn’t get time to spend there. When you’re touring an album you may get say, three hours to see somewhere and lots of the places I thought “I’d really love to go back there”, you know, have an explore and get a feel for the place. So…I went back to a few of those, with the intention to try and make something-even if was just a melody, or a song or three songs with the expectation that I might get something out of it. And it was really handy because I had all these different recordings from different places to pull together and finesse them into songs. Getintothis: So, does the record mirror your experiences in those places? Matthew Barnes: It’s really difficult when you spend so long on a record to see it objectively. I think that the further away from it that you are then you can generally understand it a bit more. It’s still quite fresh to me. I’m still trying to get my head around it, what it means and what it sounds like. And where it fits. So it was recorded in places like Istanbul and Bangkok and was finished up in Scotland, way up in a place in the Highlands. It was all pulled together up there and mixed up there. The last record was all very heavily about the Wirral and where I grew up. This one is a lot more open-facing, it’s a lot more…worldy I guess…is that the word? Getintothis: Like of the world, not World music? Matthew Barnes: Yes! That’s it! A bit more kind of curious. A bit more expansive. Just having those experiences, going out on tour and getting to new places and getting to meet new people. It was quite new to me because I was quite insular as a kid. I was in that position where I almost had to be forced to see new people and visit new places and experience new things has been really, really handy for me I think. Getintothis: It’s a cliché I guess but it’s said that hard times produce great art and music. With what’s happened over the past 18 months with Brexit and Trump etc, do you think that’s reflected in the album in any way? Matthew Barnes: I’d say probably there are echoes of it, though not specifically about it. I think it’s impossible to do anything really at the moment without bringing in that…misery! It seeps in everywhere. Everywhere you look; television, Twitter, or Facebook or the media generally, then it’s all there for you to feel helpless about and miserable and frustrated. And that’s not even before you see anything that’s going on in your personal life, so you have all these things you have to navigate. And a lot of people I know are struggling to navigate this whole new world. Matthew Barnes: Yes, it is overwhelming and it’s quite a new thing to work your way around. So the record isn’t about that and doesn’t reflect that, but it definitely has those shadows I think. There’s points throughout the record when I made it and it was all the Brexit thing and I guess that the word is that it was very frustrating. There are a lot of the songs when I started, the songs started in a very frustrated way and then they moved towards somewhere else. In some sense they found their way towards the light. So all the titles are places where the songs started but I don’t think that the album itself is a dark album. I think there’s bits of euphoria in there. And hope. Getintothis: The overall impression for me is an album of hope. Matthew Barnes: Yeah, hope is a really good word. Getintothis: I’ve been listening to it a lot and it all sounds like one single track. It sounds seamless. Almost classical. Like a classical piece. Matthew Barnes: That’s interesting. No-one’s mentioned that before. The way it was sequenced, it was meant to feel like that, like a journey. Matthew Barnes: Yeah. The last record was sequenced more like a pop record but this one; you can’t really dive in. You have to listen to it in one go, from the start, for it to reveal itself. I’ve been pushing myself over the course of making this record to listen to stuff that I’ve never really listened to before and part of that was classical music and jazz as well. And those work a lot in movements and certainly a lot of the songs on the album are more like suites of sounds, they all take their own mini-paths here and there. I kind of like the idea of things like that and making a record like that. Getintothis: Have you ever thought of working in a classical concept or with classical musicians? Matthew Barnes: I’m certainly a lot more open-minded to collaborations. I’ve reached a point in my life where I’ve learned that pushing yourself is a really positive thing and therefore next step is working with others because up to now I’ve been used to working by myself and especially making my own music. So bringing in other people and understanding that other people can do things that I can’t do at all or can’t do as well and relinquishing that control-freak side of me, could be really fun and could bring in an entirely new angle to it. I’m definitely open to doing stuff like that although I haven’t exactly worked out what yet. But in the future I’d love to have a go and bring new people in. I’d like to bring a composer in. I’m aware of my limitations. I know I can only do so much before…I mean, I look at someone like Bjork- who I love- and she always works with collaborators. But it’s always her. It’s unmistakably her. And therefore to bring someone in who can utilise their talents also, well, it can only benefit both of you. I’m really excited about doing stuff like that in the future. Getintothis: The borders between jazz and classical music and electronic music are being broken down a lot more recently? Matthew Barnes: Yeah, and as a music fan I’ve noticed that stuff has changed a lot more recently, so as a fan I’m not so much concerned about what genre music is from. I think a lot of that is when you’re younger-your identity and where you want to fit into things or fit into the world. Things like YouTube or Spotify have completely opened my mind to listen to stuff that I’d never have the chance to listen to. So, to give an example, I said that the last six months or so I’ve been really getting into jazz and it’s really difficult to find an entry point into stuff like that or classical music, and YouTube and Spotify have given me a way to get in, and to soak myself in it and find my way around it. And I think a lot of people are like that. They may want to get into say, African music, so they say I’m going to go down a bit of a wormhole to try to find my way around it. I think that’s really, really cool. It means that people are a lot more open to stuff that five or ten years ago they wouldn’t have touched with a bargepole or maybe were too intimidated to listen to. Getintothis: Even stepping into a concert hall to see a classical concert when you’re more used to going into a club or seeing a band is intimidating, isn’t it? That’s how I felt anyway! Matthew Barnes: Oh exactly! I mean it’s seen as quite scary! For instance, I’ve never seen an opera! I feel on some level, it’s not for me, it’s not very welcoming almost but stuff like Spotify allow people to break down those barriers and boundaries. I’m also aware that a lot of people who’ve got into my music have done so by randomly browsing. Getintothis: There’s a big rise of new classical music-stuff like Nils Frahm and Erased Tapes? Matthew Barnes: I think those things can be very, very useful like an entry point and like all the new jazz at the moment, music like Kamasi Washington-enables people to take a step into it. I’m really excited by it all and I feel like a whole new world has opened up now. Getintothis: You’ve worked a lot with film and with performers such as dancers in a live context. Do you think your music can stand in isolation in a live context-because it certainly does so on record? Matthew Barnes: I like that kind of thing because it feels as if I’m pushing myself. The dance thing I did, I had no grounding in contemporary dance, but I had an interest in it, yet I didn’t have any clue about it! I got those people on board that kind of new their stuff and it got me really excited because it made me realise that you don’t need a massive education in anything to have a go at it. You can be quite punk about it, “well, I want to have a go”, what have you got to lose? The opportunity is there so just go for it. It seems really intrinsic to me. I’m really excited about working with talented people and maybe learning about this stuff and new things. I’m really curious. I think the best way to learn is just to dive in and have a go. Getintothis: You’re due to play a lot of festivals across Europe and the rest of the world this year. How have things changed post-Brexit? Matthew Barnes: It’s interesting, because I’ve already played a few indoor ones and speaking to other musicians and the thing they’re all talking about is the European situation and how it’s going to affect people and how mobile they are. My biggest nightmare would be having to get a visa for everywhere, for every single country that I play. Part of the joy of doing all this is how free it all is. I can just get on a plane and play some weird town in Germany if they want me; that’s how exciting it is. But to have those barriers up is not only affecting what goes out, but what comes in here as well. It’s less about…I’m always concerned as a music fan about what’s going to come into the country. On a practical note it’s going to put money on things like vinyl records and merch sales. Even if you add an extra pound onto that then people are less likely to take a punt on something. The individual knock-on effects might be small but when they are accumulated they’re going to be massive. I’m always hesitant and it won’t change the way I make music but it will make it more annoying and frustrating. I’m just going to plough on through it. 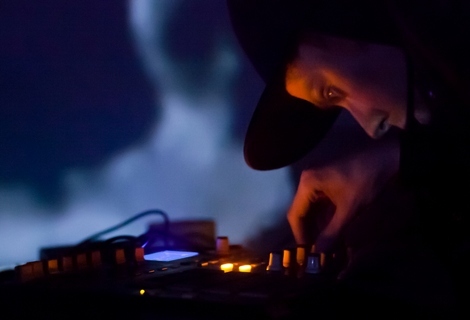 Getintothis: I guess a lot of time for you is taken up with making music. What do you outside of music? Do you have any time for anything else? Matthew Barnes: Well, I trained as a graphic designer and I still do bits of that, to keep my hand in, keep things ticking over and just to pay the bills! And I’ve started swimming again! I was terrified of swimming when I was a kid, since I was about 12. When I was making the record I spent some time in Brighton and I woke up one morning and it was a beautiful day and I thought “You know what? I’m going to try it again and see what it’s like” It was great and I love it!